Australian domestic freight trucks clocked enough kilometres in 2015-2016 to send a B-double truck to the moon and back more than 4,250 times, says the Australian Bureau of Statistics (ABS). That's a total in excess of 200 000 million tonne-kilometres. Information like this plays a core role in shaping the Australian government's 'National Freight and Supply Chain Strategy', says ABS Transport Statistics staff member Amanda Clark. Why? Because data helps improve the safety and efficiency of both vehicles and drivers. As technology advances, fleet managers will have greater insight into the state and efficiency of their team. Vehicle telematics, the real-time tracking and monitoring of vehicles via GPS, is changing the freight and logistics industry by arming companies and drivers with accurate, concise information to continually improve upon processes. Here's why it'll become the backbone of the Australian freight industry. 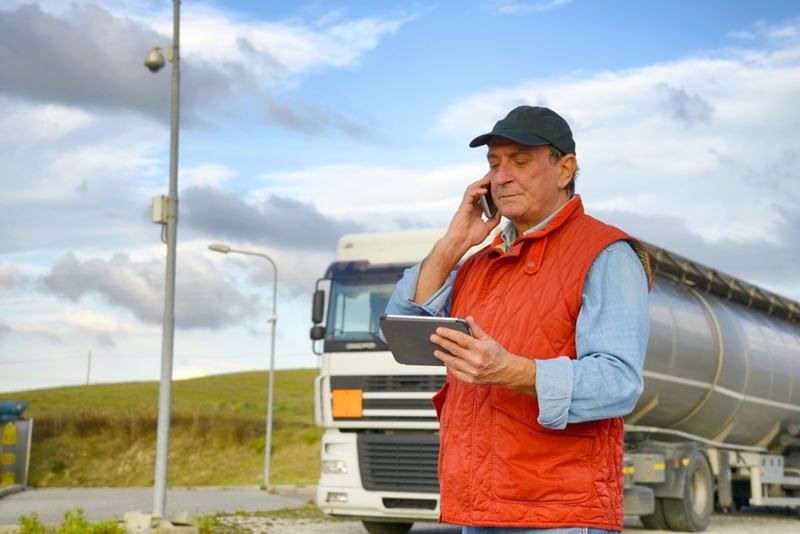 How is telematics changing the trucking industry? Vehicle monitoring. Using telematics solutions, such as Pinpoint Communication's Advanced Vehicle Management (AVM) cloud-based application, can give you real-time visibility of your fleet as well as accurate and up-to-date information about the state of the vehicle, identifying when preventative maintenance is needed before issues arise. Driver safety. In this category, telematics turns focus inwards to monitor the driver, particularly their behaviour. While this data can gain insight into such things like fuel efficiency and routes taken, it can also help reduce the number of accidents by ensuring drivers are operating is a safe manner such as adhering to set driving hours. Fleet management and supply chain integration. Getting goods from A to B efficiently comes down to picking the best route. While the total number of kilometres travelled in Australia seems impressive, ideally this number should be as low as possible. Saving time spent driving means quicker delivery of goods and improved bottom line for companies. Telematics puts power in the hands of the trucking industry. Short-term: Trucks will be able to signal to the driver that maintenance is needed, and direct them to the nearest workshop for repairs. Long-term: Trucks will be able to 'platoon', linking trucks via vehicle-to-vehicle communication, reducing the incidence of human error. There are many more exciting areas for potential growth in vehicle and fleet management with the aid of telematics. To find out more, get in touch with the team at Pinpoint Communications today.